Introducing the Albion Ballpen. Made from High quality ABS Plastic with a high capacity black refill with German documental quality ink. Supplied with polished white barrel and 8 popular clip colours to choose from, the Albion Ballpen can be printed with up to six spot colours with generous print areas available on both the barrel and clip. Furthermore, when ordering the Albion Ballpen you can be safe in the knowledge it complies with current safety regulation BS7272. 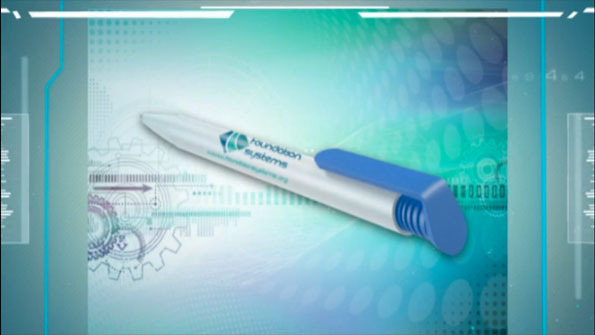 With a highly competitive price point and a free accelerated express service for those last minute promotional emergencies, the Albion Ballpen offers incredible value-for-money. For organisations looking to communicate their message with photographic quality images there is a full colour digital service available where your message and image can be printed around the entire 360° of the barrel.